The TRANSFORMERS are back, and this time they’re in the hands of acclaimed developer PlatinumGames, who has married their over-the-top brawler action with comic book inspired art to create a TRANSFORMERS game like none other. 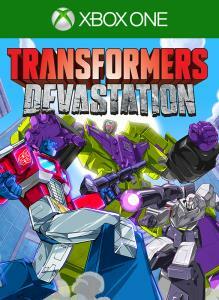 - Five playable AUTOBOTS: OPTIMUS PRIME, BUMBLEBEE, SIDESWIPE, WHEELJACK and GRIMLOCK. - 5 difficulty levels with overhauls in enemy composition, combined with a deep customization system, means hours of intense gameplay. Get 3 Character Skins and 3 Awesome Weapons.